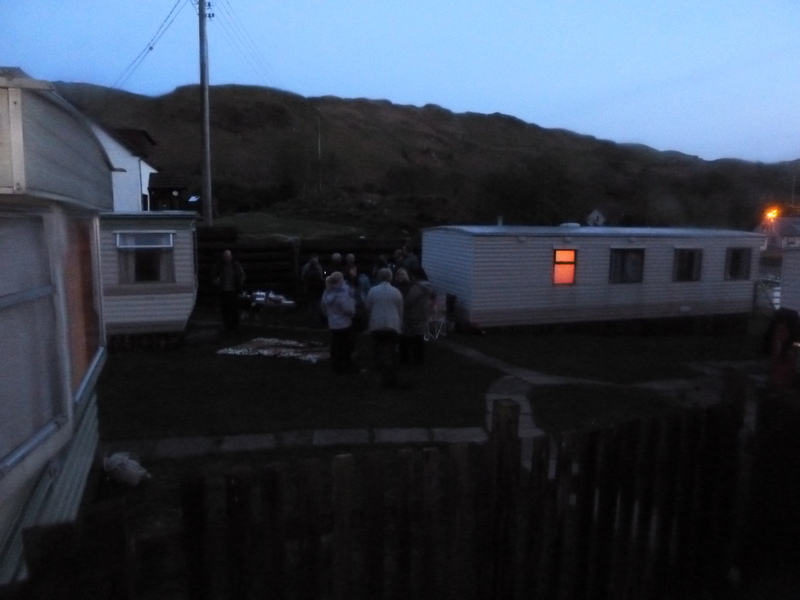 People started to gather over Friday and by evening a lively party spirit was evident at the caravans by Puffin boding well for the weekend. On Saturday morning with perhaps an eye open for the Garvellachs, the boats were towed down to Cuan where Spike’s boat and Deep Dancer were launched from the ferry slip. Deep Dancer decided to play tricks on us and refused to start opting instead to remain silent until Tony performed his Lazarus act, laying his hands upon the errant deadman’s switch and bringing the engine roaring to life. The boats motored south to Shuna where Deep Dancer’s team went in under Shuna House near the slip at Port an t-Salainn reporting a mud slope and a forest of phosphorescent sea pens. Spikes boat went exploring around the corner on the west side of the island. For lunch the boats were anchored in a sandy bay on the south-west tip below Shuna Cottage where we enjoyed a relaxing couple of hours in the sun, watching sea kayakers paddling past. Second dives of the day was a lucky dip affair off the West side of Shuna. 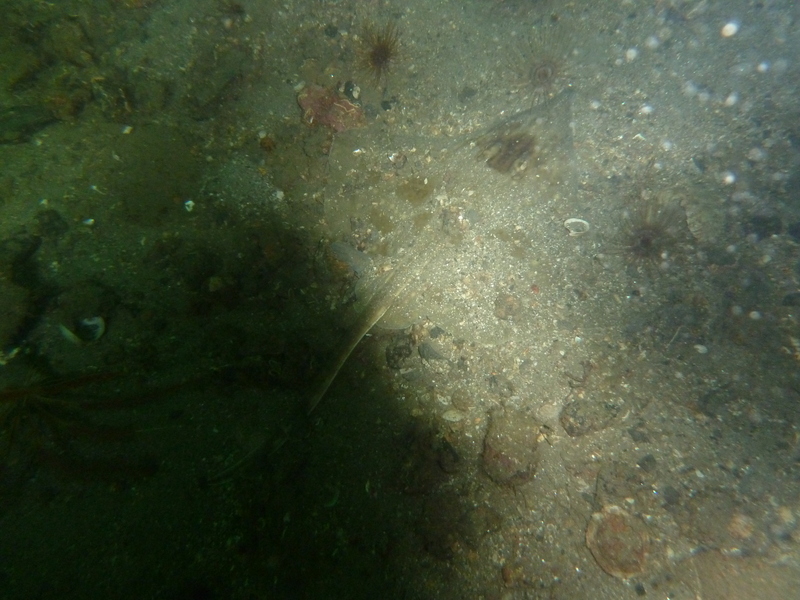 We found a steep sand and bolder slope which provided some interesting life including slender sea pens and some vintage scallops. All divers retrieved without incident and an enjoyable boat ride back up to Cuan where we had the opportunity to take Deep Dancer into the tidal race for a bit of boat handling practice. The evening activities had started by the time we got back and a couple of enthusiastic divers opted for a night dive off Puffin dive centre. Numerous flat fish , poor cod , butterfish and bleneys being more inquisitive than usual were seen. On Sunday morning the boats were in the water early and the day trippers arrived from Perth. With the weather looking fair Deep Dancer and Am Fheoladaire set off up Kerrera Sound and towards Lismore taking advantage of calm seas. Identifying interesting sites off the SW tip of Lismore interesting, gentle drifts were enjoyed along a “pick your own depth” – slabs/wall. As part of the entertainment for the day a small lesser spotted dogfish caused delight in Alan’s boat before it was released. Due to visibility closing in we motored back towards Oban taking lunch on Kerrera. Spike’s boat headed south to South Kerrera Sound light for shake down dives. 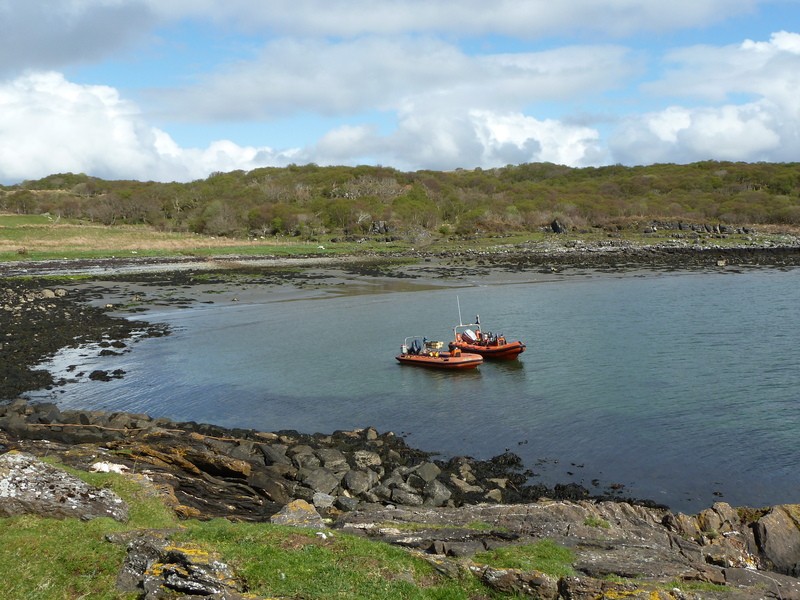 The afternoon dive was off Maiden Island where a good bag of scallops was collected. One bag which was sent up,caused a hazard to shipping as the Calmac ferry steamed over it. Chris and Paul reported a little skate Dipturus Batis off the south tip which is an unusual site these days as they are threatened with extinction through over fishing. Fred and Maureen providing boat cover and Fred subsequently brought Deep Dancer home with a display of impressive boat handling skills. During the evening Neil took his boat out to charge the battery and some of us enjoyed a tremendous cruise up and down Kerrera sound. On return two keen divers were waiting for it to get dark for a night dive off the Puffin dive centre where a similar array of life to the previous evening was reported as they provided a light show spectacle for those watching from the pier. Monday saw Am Feoladaire and Deep Dancer heading the 8 miles south to Insh Island in glorious weather and calm seas. The wall of the NE tip was dived and good life reported with colonial sea squirt and soft corals in abundance. Lunch was taken on Easdale Island in sunshine. 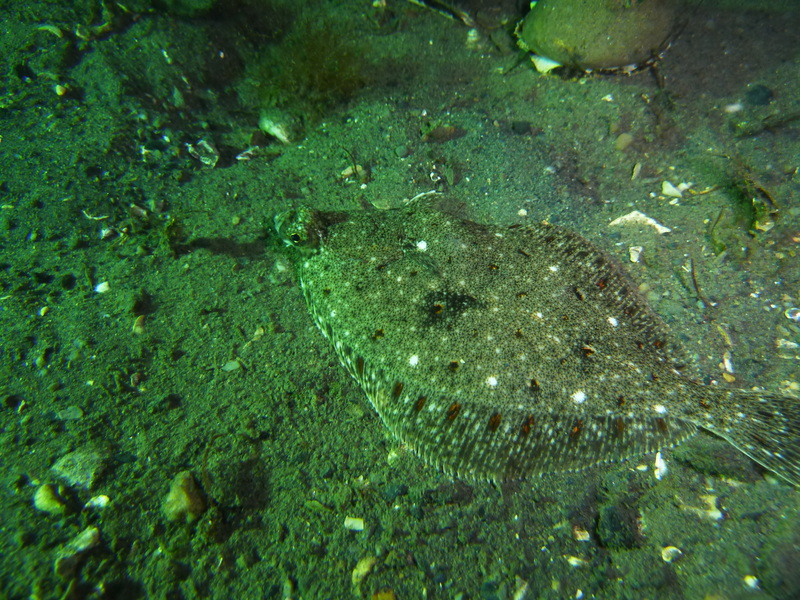 The afternoons dive was a pot luck affair and a reasonable site was found off Rubha Lagain Aillidh on the mainland just north of the Easdale cliffs. All in all a very worthwhile trip blessed by good weather. Thanks are due to Steve for his organisation and for everyone for mucking in.